The memory of modern Ireland is increasingly created in digital form and we need innovative approaches to capture and share the contemporary record. That’s according to the National Library of Ireland’s Director, Dr Sandra Collins, speaking at the launch by the Minister for Arts, Heritage, Regional, Rural and Gaeltacht Affairs, Heather Humphreys TD, of the NLI’s Annual Review 2015 and its Strategy for the next five years. “The national collections are the heart of the Library. They are permanent and open to all. The National Library has always collected the memory of Ireland in its many different forms, from letters to manuscripts, from photographs to newspapers, and today as we our lives become more digital we are adding these new digital memories into the national collections. “In 2016 we embarked on our most ambitious web archiving programme, capturing over 600 websites which will all be openly accessible from our online catalogue to anywhere in the world. Our vision is 30 million online interactions, as we continue our long tradition of fostering research, learning, debate and engagement with the diversity of Irish culture and heritage. 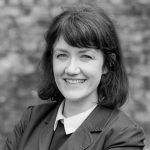 “An exciting feature of this Strategy will be the delivery of digital collecting pilot projects, where we will work to collect the living digital archives of Ireland’s contemporary writers. Visitors to our buildings will find exciting changes too, as we redevelop our main Library building in partnership with the Office of Public Works and the Department of Arts, Heritage, Regional, Rural and Gaeltacht Affairs, and we partner on two new landmark exhibitions: the Seamus Heaney exhibition in the Bank of Ireland on College Green, and the Ulysses Centre in Newman House with UCD. All these projects are motivated by protecting and sharing the national collections with the people of Ireland. Minister Humphreys said: “Since its foundation almost 140 years ago, the National Library has played a fundamental role in preserving our country’s story and memory. It protects material of national and international significance, keeping them safe in perpetuity for the nation. As we move into an increasingly digital age, the Library is leading the way by making its collections available online, ensuring the widest possible audience for its catalogue. “The Annual Review 2015 highlights the impressive achievements of the Library last year, with almost a quarter of a million visitors through its doors. There were over 20 million interactions with the Library’s online catalogue; a figure which underlines the huge appetite that exists for quality digital historical material. The Library is entering a very exciting phase, and I am delighted to be providing €10 million for the roll out of the capital investment plan which will transform the Library into a world class location for the national collections and for research, culture, learning and tourism. The NLI has a long tradition of collaboration, and in 2016, worked together with organisations and projects across the country and the world, including Ireland 2016, Embassies, digital partnerships with Google and Inspiring Ireland, and a year-long programme of national and local events. Dr Collins continued: “Our 1916 digitisation programme enabled us to share our archives with the world. Our priority now is to create opportunities to maximise our impact, through collaborative partnerships and through new funding models. 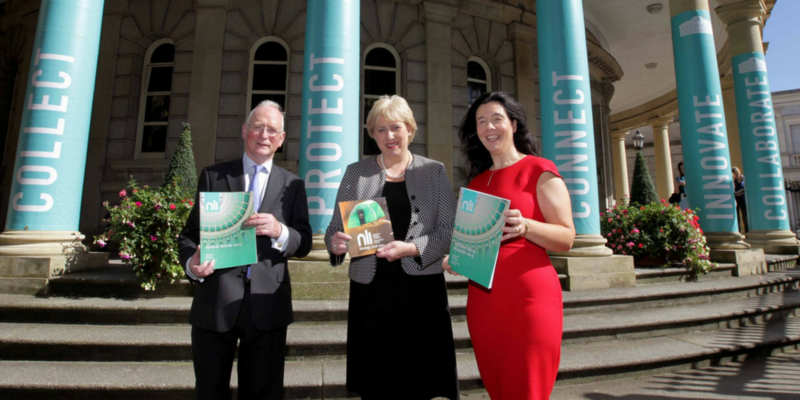 The NLI attracted 21.1 million interactions online. There were almost a quarter of a million visitors to the NLI in 2015. A total of 12,887 new and antiquarian books were catalogued – including books from the WB Yeats Library, the poet’s own book collection. During 2015, 15,859 people attended tours, talks, workshops and performances at the NLI. Six major exhibitions were staged during 2015, attracting 150,000 visitors. A series of travelling exhibitions were hosted by 13 locations, around Ireland and internationally, increasing the reach and access of the Library’s exhibitions. Chair of the National Library of Ireland’s Board, Paul Shovlin, commented, “There were several fantastic achievements at the NLI in 2015, many of which are highlighted in the 2015 Review. On a strategic level, there is one of particular significance, which represents one of the most substantive projects in the Library’s history. The launch of the digitised Catholic Parish Registers at the NLI was a landmark for the Library and for Irish genealogy – from its launch in July 2015 to the end of the year, the website attracted over five and a half million page views, with visitors from right across the globe accessing the site. “The Strategy we are launching today aims to be ambitious and in order for it be realised, it is incumbent upon us to articulate the value of the National Library to the people of Ireland and the wider diaspora in enriching our cultural identity.